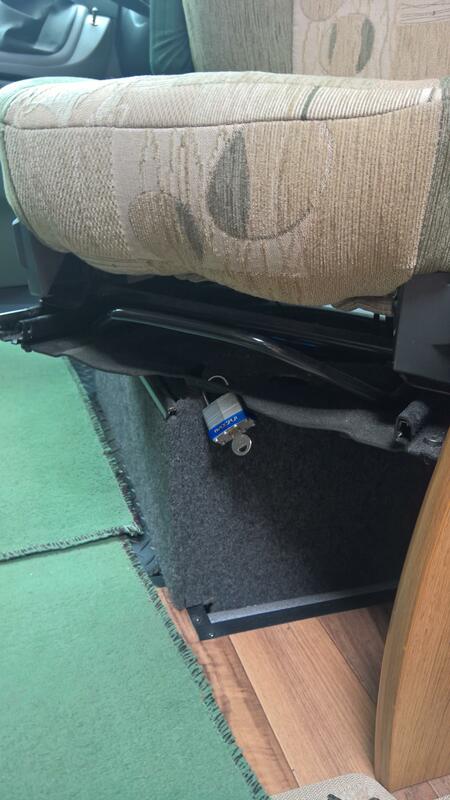 A potential thief would have great difficulty driving away a motorhome with the drivers seat locked facing the opposite direction. On the Peugeot there is a conveniently placed bracket that a padlock fits perfectly. There may be similarly conveniently placed holes on other makes. Just another distraction that makes it a little bit more difficult for a thief to take your motorhome. Previous TIPS – Tennis ball toe-tectors! !